Anderson Hardwood is a proud American owned and operated company based out of South Carolina. They have been providing quality hardwood floors since 1946, when they opened their doors as a small family owned hardwood flooring company. 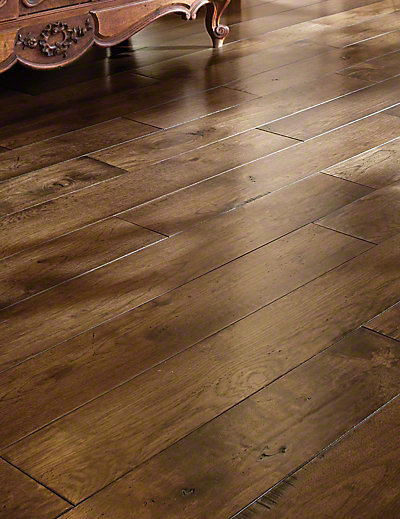 They grew in popularity and were committed to their family tradition of creating impeccable engineered hardwood. This commitment helped them become one of the leaders in engineered wood flooring in the United States. The mark of an Anderson floor is found in its design, which features a very rustic look when it comes to hardwood floors. Their use of hand-scraping, pebbling, wire-brushing, and various other textures gives Anderson’s prefinished hardwood floors a distinct quality that is difficult to replicate. Their intricately detailed hardwood flooring designs and their overall durability makes Anderson’s Virginia Vintage hardwood floors an excellent choice for any home. They can be found in the Slaughterbeck Floors showroom in Campbell, where you are welcome to visit and see the quality for yourself. 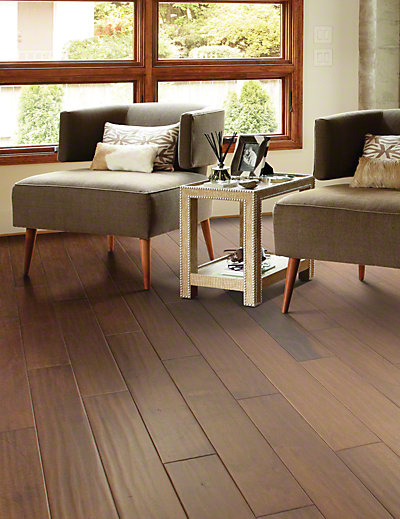 Prefinished hardwood floors add an air of class and sophistication to any room in your home. 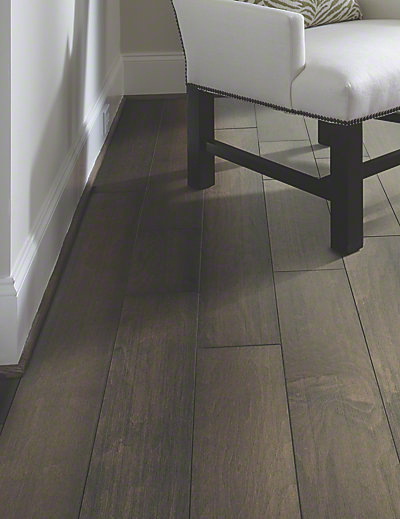 No matter the decor in the room, well-made hardwood flooring will surely catch the eyes of your guests. Each style of Virginia Vintage is created from an inspiration that is brought to life through its impeccable design and color. Bastille, which provides an elegant timeworn appearance with classic distressed details. Copper Creek, which conjures images of nature such as rivers and rolling foothills with its natural exotic wood species composition. Thorne Hill, which gives your home a European atmosphere with its rich colors and textures. The special aura each Virginia Vintage hardwood floor gives your home is what makes them unique. With many designs and colors to choose from, you will surely be able to find a style that fits your home perfectly. 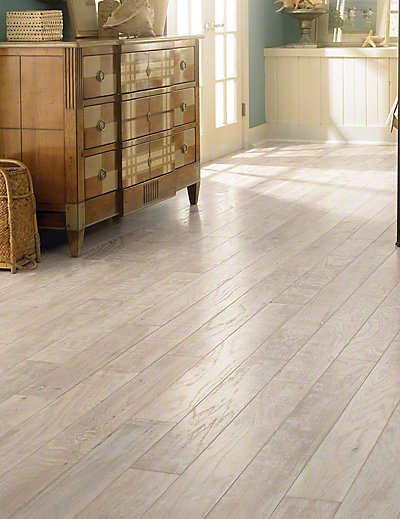 The appealing aesthetic of Vintage Virginia makes the decision to transition to engineered hardwood very easy. The design patterns applied to each piece of hardwood are always made with great care and dedication to a superior product. The craftsmen at Anderson seek out the latest trends in paint, texture, textiles, and cabinetry. 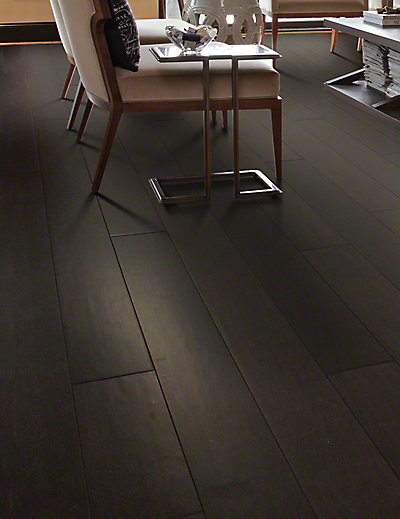 Their research is put to good use in creating stunning engineered wood flooring that expresses a variety of elegant colors from deep espresso tones to coastal-inspired painted floors and fashionable grey-accents. This beauty is passed onto their customers through sturdy yet sophisticated hardwood floors. Having wood flooring made in America ensures that local people are employed which keeps the American economy running strong. Virginia Vintage wood floors are made in South Carolina and have been since Anderson Hardwood’s inception as Standard Plywoods, Inc. in 1946. Unique to Anderson Hardwood is the fact that most of the craftsmanship is completed through their Prison Work Program. Rehabilitating prisoners through the production of engineered hardwood helps cut down the rate of recidivism in South Carolina, making it a very successful work program. This helps bolster the American spirit. The best reason for buying hardwood floors constructed in America is that the customer knows they are getting a quality product every time. There doesn’t have to be any worries about poor workmanship or flimsy construction when the product is made in the United States. Anderson Hardwood has been producing sturdy and beautiful hardwood for years, and with one phone call you will see why. For more information on Virginia Vintage hardwood floors, or to receive a quote, don’t hesitate to contact us today. You’ll be glad you did!